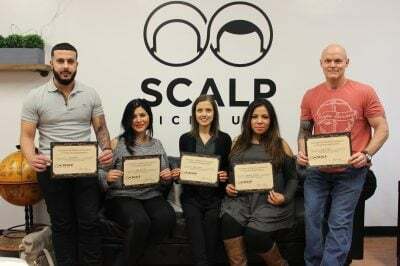 These incredible graduates from our Houston training class went through an intensive 4-day course to help grow their Scalp Micropigmentation (SMP) career. 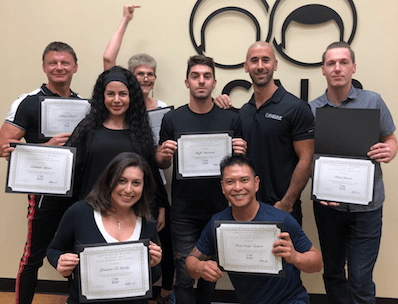 An incredibly talented group of barbers, hair stylists, salon owners, and entrepreneurs learned the art of scalp micropigmentation in our Houston, Texas clinic. Join the largest scalp micropigmentation training network in the industry! Our first ever Houston training program incorporated scalp micropigmentation theory, master workshops, hairline designs and hands-on work from the most experienced expert trainers. Our class of five incredible people, learned the theory and mastery behind scalp micropigmentation through our four day training course. 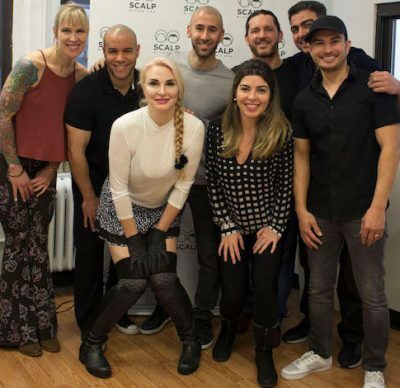 This amazing class of six, spent four days learning the skills needed to properly treat and delivery the best scalp micropigmentation treatment in the country. I just attended a Masters course in SMP by Matthew Iulo and Graig Lauricella in Houston, TX. One of the best experiences of my life. Worth every penny. The whole process was organized, clean, didactic information of great quality, and hands-on workshops the best. They are right there watching and giving critical feedback with a great professional, and yet personal and calming approach. These guys are truly the best in the industry! This is the best place to get your hair treatment done. As an academy, I highly recommend Matt and Graig for teaching you if you want to come into the industry. They are really knowledgeable and love what they do. A perfect team to be surrounded with an awesome outcome for your head. Insanely appreciative for the amazing 4 days intense hands-on scalp micropigmentation training experience I had with Scalp Micro USA, Houston, Texas location. 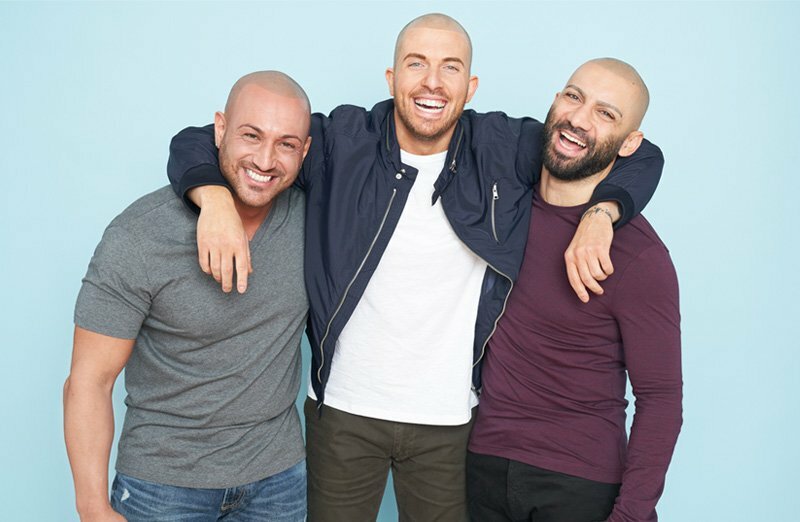 Matt and Graig are true pioneers of the SMP industry with many years of experience, passion-driven, hard-working, and very knowledgeable artists in the scalp micro pigmentation industry. Thank you, Matt and Ariz for giving us the opportunity to learn from your amazing skills. This class, this opportunity, and the knowledge you shared have given me hope on accomplishing a stronger foundation of Scalp Micropigmentation. My favorite part of the overall training was watching you guys provide live demos. It gave me a sense of accomplishment when I worked in live models as well. Thank you, guys! With so many training companies out there it was very important to find the right one that will give me not only the best training but support after as well. Scalp Micro USA did just that! It was thorough, world-class training, worth every penny. Matt and Aris are outstanding trainers with years of experience and tremendous amounts of knowledge. I'm extremely happy I chose them to help me be a great SMP artist. You guys are amazing!! Thank you for all the great tips. Keep in touch and help each other in the industry. Matt and Graig are long-time experienced scalp practitioners. Not only do they excel at what they're doing, but they're also extremely generous in helping and communicating their craft to the world. I recommend anyone to contact them! I trained with Scalp Micro USA and became a certified Artist Technician opening ILLUSORY INKS in Orlando FL and have now embarked on my own journey to help others using the techniques I learned under Matts supervision. Great company, would recommend to anyone. If you want to be the best, you have to train with the best. Scalp Micro USA has an amazing reputation and is well respected in the industry. I took my time in choosing who to train with and after carefully researching all the different options, my choice was easy. My experience with this unique hands-on training program was extremely thorough and professional. One of the best aspects of this program is the ongoing support and encouragement. I really enjoyed spending 4 days with Matt and Aris. Good people and real masters of their work. Thanks Matt and Aris. The quality of the training provided is exceptional and has been of great benefit to our practitioners. Thanks for everything Matt! So awesome to work next to you and watch you nail each and ever client. I have learned so much! Thank you so much, Matt! We were meeega happy to have you here! I had already completed training with a previous company and had been practicing successfully for several months before reaching out to Matt. Thanks to this training I was able to immediately go from achieving good results to producing exceptional work. There are no shortcuts in this industry and a quality training program with a true master is a must.